Donna Clyne brings over two decades of state legislative experience to Shenker Russo & Clark LLP. Donna assists clients in meeting the challenges of an ever-changing health care environment by finding innovative ways to ease their regulatory burdens and providing creative, cost-effective strategies to solve their problems. She is particularly adept at helping clients work with the New York State Department of Health and obtain funding for innovative projects. Donna provides clients with straightforward guidance to meet their regulatory requirements and business goals. Donna works and has worked with hospitals, nursing homes, adult care facilities, managed long-term care plans, assisted living programs, home care agencies, behavioral health providers and physicians and physician groups. She has helped clients navigate the complex and often inconsistent worlds of health care delivery and reform. 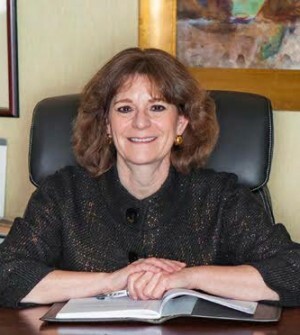 After working for 12 years as Counsel to Assemblywoman Elizabeth A. Connelly, Speaker Pro Tempore, she was appointed to the New York City Mayor’s Office of State Legislative Affairs under former Mayors Rudolph Giuliani and Michael Bloomberg. She later joined Wilson Elser’s Government Affairs practice, working on a variety of issues ranging from Health Care to Higher Education and Cultural Affairs. Donna also has substantial experience working with not-for-profit corporations.